LONG – PANORAMIC VIEWS OF The ENTIRE McDowell Range and NE Scottsdale city lights. HIGH UP in the canyon bordering the Phoenix Mountain Preserve. 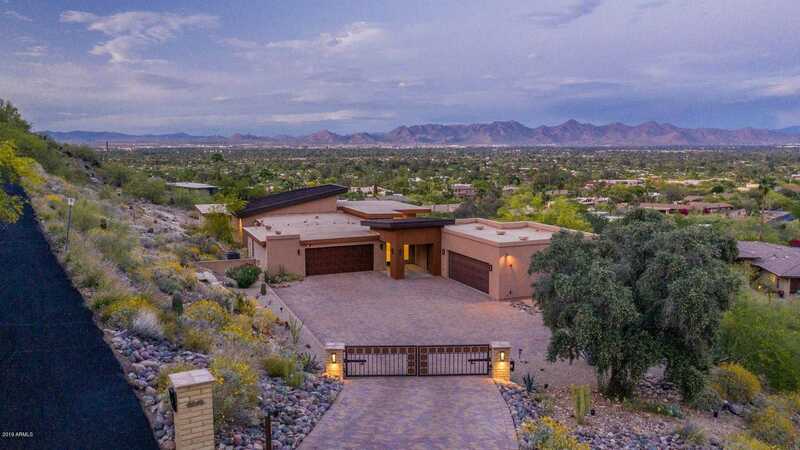 Seller just completed a significant renovation designed by paradise Valley architect Eric Leibsohn.Private serene setting with excellent off street parking and 2 2 car garages each with additional storage.Owner suite with views plus 2 en-suite guest rooms. Next gen casita within main structure. Directions: WEST ON SUNSET , LEFT ON MOCKINGBIRD LANE,LEFT ON LILLIAN LANE,RIGHT ON CHARLESALL THE UP AND AROUND THE CORNER TO LAST HOME ON RIGHT. Approximate size: 47137.00 sq. ft.